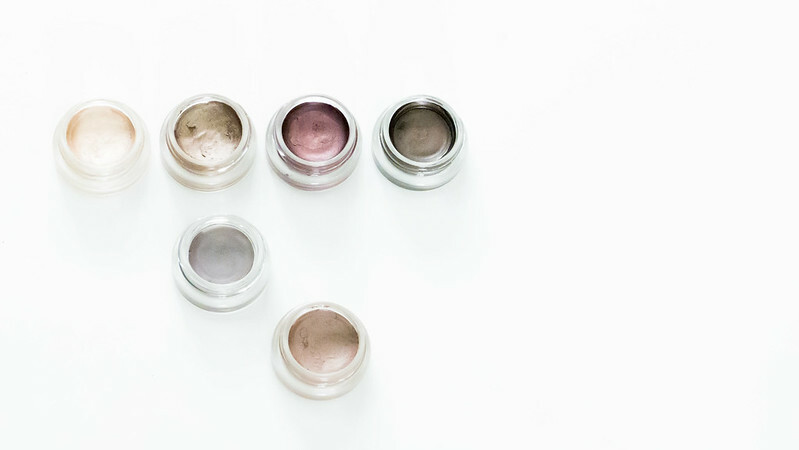 I have a new obsession… and for once it’s not a lipstick, I’m talking about cream eye shadows! I bought my first Maybelline Color Tatoo at the end of 2014 and since then I’m obsessed! There are several collections, so let’s start with the regular one. The formula of these eye shadows is thought to lasts 24 hours with an intense color all day long. I’ve never tried to keep it 24 hours but I can assure you that it stays all day, even in summer when our eyelids tend to be oily. 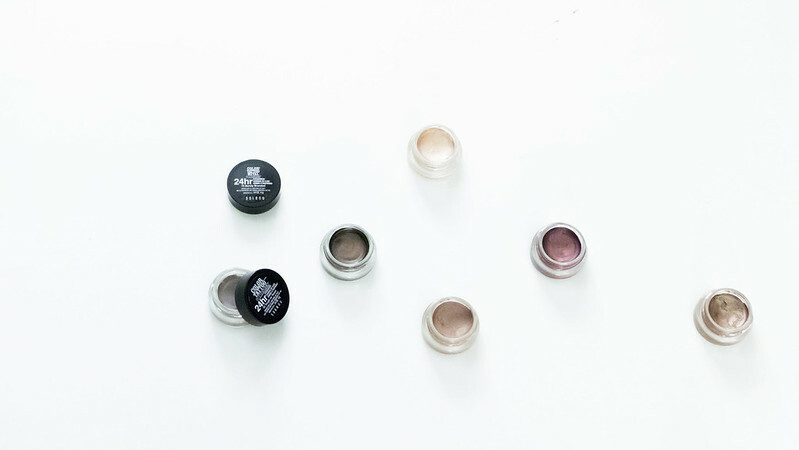 The texture is creamy and very easy to apply with your fingers. I sometimes use brushes, but I find them easier to blend with a finger. I have three colors in this collection: "30 Pomegranate Punk", "35 Taugh as Taupe" and "25 Bad to the Bronze". The Leather collection is supposed to have a leather finish as you may have guess by the name, but let’s just say that the finish is matte. They can be used on the entire lid, but can also serve as a primer and a base for a more intense look. I own the colors "80 Creamy Beige" and "95 Chocolate Suede". The Metal collection brings some metallic and shimmery shades. The color I have is "70 Barely Branded” and I use it mostly in the centre of my lids and in the inner corner of the eyes as a highlighter. Sometimes, when I’m really tired I can use it all over my lids but it’s more for special occasions. It can also be used as a highlighter for the face. I apply a small amount under the eyebrow, above the upper lip and on the cheekbones. The colors I use the most are “Taugh as Taupe” and “Creamy Beige”, because they are the most neutral and go with any look. Most of the time I apply it on the lid and I add a matte brown powder eye shadow in the crease to create a little definition. If you want more details, you can take a look at this video. And you, have you tried those eye shadows? Which one is your favorite? PS: Have you seen my last YouTube video? I show you an easy bronze smokey eye tutorial where I actually use one of the Maybelline Color Tatoo eye shadow. Also, here is a link for an other video I made, and where I present my Beauty Essentials! Don’t forget to subscribe to my channel and like the video if you liked it! It would mean a lot to me!